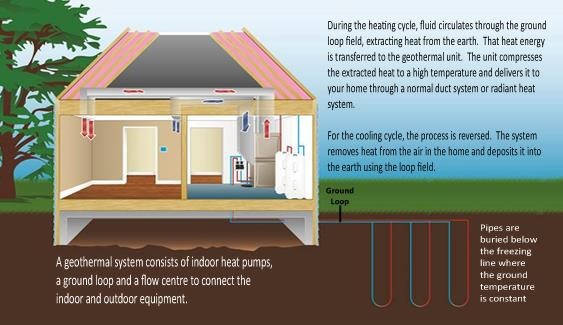 ClimateWire - Will Geothermal Heating Replace Natural Gas in Your Ontario Home? What: The Ontario Geothermal Association welcomes industry leaders from across North America and Europe to their Annual Meeting. The theme is Ontario’s Climate Change Action Plan and geothermal technology’s role in Ontario’s energy future -“ will Geo be heating your house in the near future? Minister Glen Murray, industry representatives and speakers from the USA, Canada and Europe will be present and responding to questions, such as: Is Ontario ready to have geothermal services delivered like a natural gas utility? In a low carbon world, what is Geo’s advantage, why are we not using more Geo in Ontario? When: February 21st & February 22nd, 2017. Jim Bolger - President, Ontario Geothermal Assoc. The Ontario Geothermal Association (OGA) is a not-for-profit organization representing geothermal energy system designers, drillers, installers, equipment manufacturers and distributors to advance Ontario’s geothermal heating and cooling industry. The OGA is an affiliated member of the Heating, Refrigeration and Air Conditioning Institute of Canada (HRAI), the national industry association that represents more than 1,300 heating, ventilation, air conditioning and refrigeration (HVACR) manufacturers, wholesalers and contractors, and provides Canadians with the tools and information necessary to ensure their total indoor environment comfort.